Mr. Zhao Yuerang visits the United States__Commercial Aircraft Corporation of China, Ltd.
Mr. Zhao Yuerang (R1) met with Mr. Tim Mahoney (L1), President and CEO of Honeywell Aerospace. 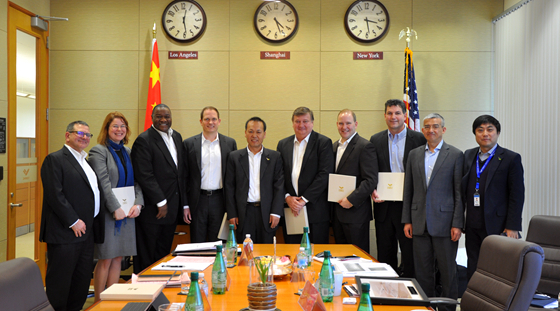 Mr. Zhao Yuerang, President of Commercial Aircraft Corporation of China, Ltd. (COMAC), visited the United States and met respectively with Mr. Tim Mahoney, President and CEO of Honeywell Aerospace, Mr. Tim White, President of Electric, Environmental and Engine Systems of UTC Aerospace Systems (UTAS), and Mr. Bill Fitzgerald, Vice President and General Manager of Commercial Engines Operation of GE Aviation, from March 5th to 8th, 2018. At the meeting, each side reviewed the progress of the program, each supplier introduced the research and development of new technology, and the Chinese side introduced the development strategy of COMAC and shared the market prospect of regional jets in China and the development vision of ARJ21. Each side expressed that they would continue to strengthen communication and exchange, deepen synergy and accelerate the progress of the program. 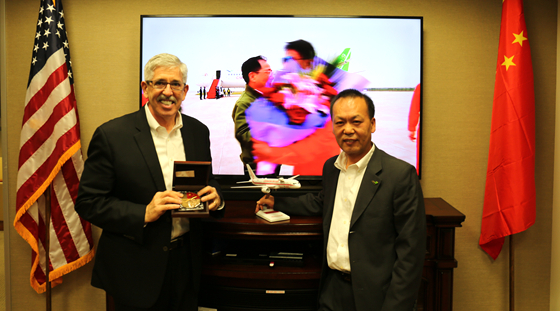 During the visit, Mr. Zhao Yuerang visited Mr. Zhang Ping, China Consul General in Los Angeles, reported the development of the company and aircraft program, and expressed gratitude to the consulate general for its support and help. During the visit to COMAC American Corporation (CAC), Mr. Zhao Yuerang listened to the report on relevant work, visited the employees of the company, fully affirmed the achievements made by CAC, and put forward requirements for the future work of CAC. Mr. Zhao Yuerang (L5) met with Mr. Tim White (L4), President of Electric, Environmental and Engine Systems of UTAS. 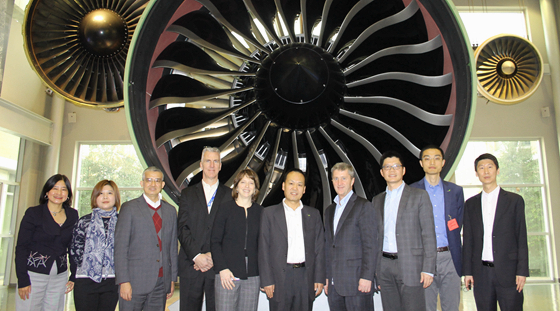 Mr. Zhao Yuerang (R5) met with Mr. Bill Fitzgerald (R4), Vice President and General Manager of Commercial Engines Operation of GE Aviation. 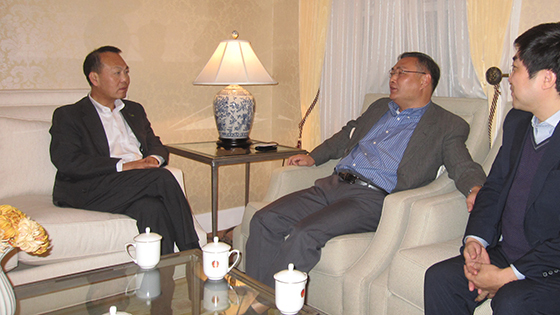 Mr. Zhao Yuerang (L1) visited Mr. Zhang Ping (R2), China Consul General in Los Angeles.